The SDMX50LP is one of three 50 ohm coaxial, 8:1 multiplexers that can be used in a TDR100-based system. 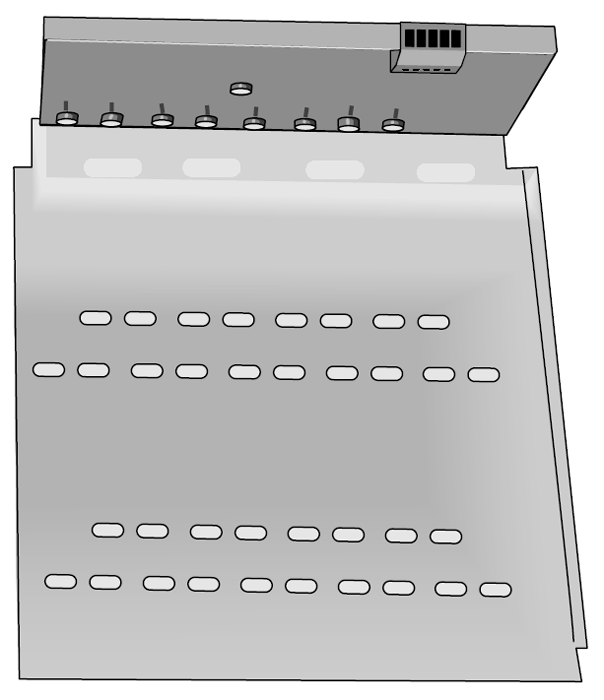 This multiplexer was designed to be mounted inside of a user-supplied enclosure. It consists of a surge-protected multiplexer circuit board attached to one end of a powder-coated backplate. 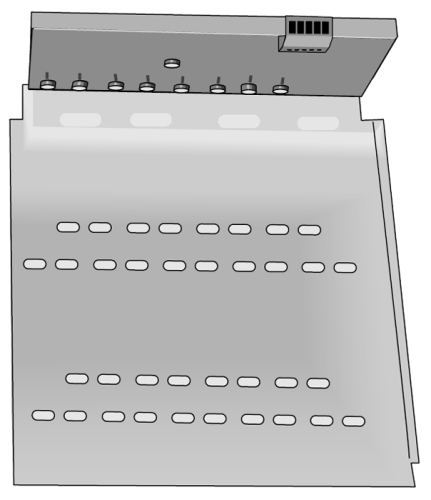 The multiplexer circuit board extends about 5” (13 cm) from the backplate, resulting in an L-shaped unit. Holes in the backplate provide strain relief for the coaxial cables. Why might an SDMX50-series multiplexer make clicking sounds? The clicking sounds come from mechanical relays making and breaking their contacts. Does an SDMX50-series multiplexer require a separate power supply? No. All SDMX50-series multiplexers in a TDR100 system may be connected to the same 12 V power supply. What is the difference between the SDMX50, SDMX50SP, and SDMX50LP coaxial multiplexers? These three multiplexers all use the same relay board, but the housing differs. The multiplexers are described side-by-side on page 2 of this brochure. The most popular model is the SDMX50SP, followed by the SDMX50. Where is PC-TDR available for download? PC-TDR is a free download in the Downloads section of the PC-TDR web page..